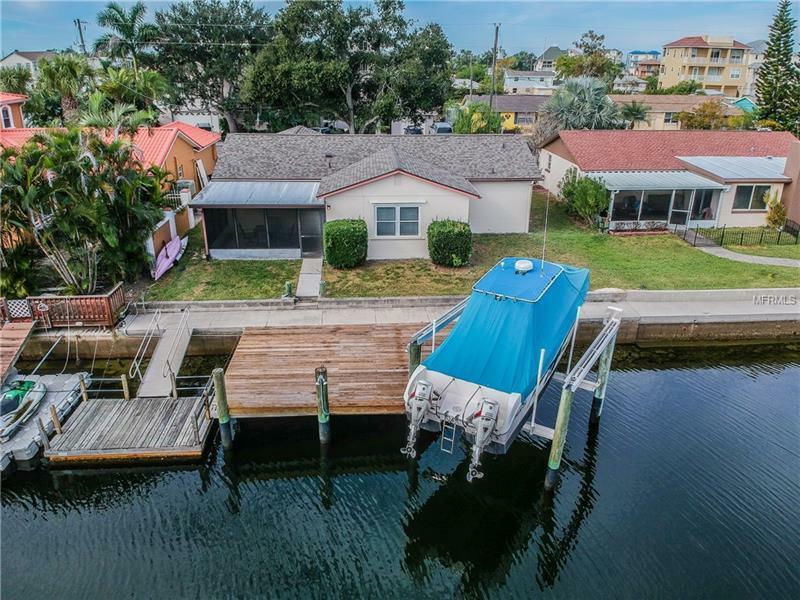 Remodeled deep water home in the desirable waterfront community of Hudson Beach Estates. Vacation home or live here year round. This block home offers two comfortable bedrooms with a split plan. Open living large screened room 10000 lb boat lift and a floating dock. Situated towards the end of the cul-de-sac by boat you are only minutes to the Open waters of the Gulf of Mexico or stay in the Intracoastal for restaurants parks and miles of untouched golden coastlines. Fresh paint inside and out new roof all new flooring new gourmet kitchen. Your home comes furnished and ready for action. Just bring your shorts and a boat. Sunset cruise is only minutes from your back door each evening.